Every season brings a new reason to praise and worship God. The revelations of His magnificent creation are celebrated in THROUGH THE SEASONS, a new book-and-music devotional series from award-winning worship songwriter David M. Edwards. Advent returns to the miracle of Christ's birth, focusing on the deep promises that are found in the greatest story ever told. A bonus CD of related worship songs complements the colorfully written devotions. - Publisher One in a series of four book-and-music devotionals, each focusing on the uniqueness each season brings for praise and worship. Includes bonus CD of worship songs. 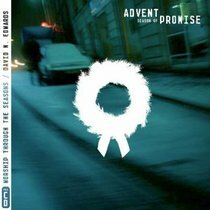 About "The Season of Promise - Advent (Through The Seasons Series)"
One in a series of four book-and-music devotionals, each focusing on the uniqueness each season brings for praise and worship. Includes bonus CD of worship songs. David Edwards travels the country full time, speaking to over 200,000 young adults each year in churches and a variety of other settings. As a member of Generation X, he knows firsthand the conflicts, passions, and dreams of this generation. He has been a featured speaker for citywide weekly Bible study groups in eight states and has authored the Destinations video series, as well as his books, One Step Closer, Did I Get Out of Bed for This? ; Has God Given Up On Me? ; What Happens When I Die? , and Lit.